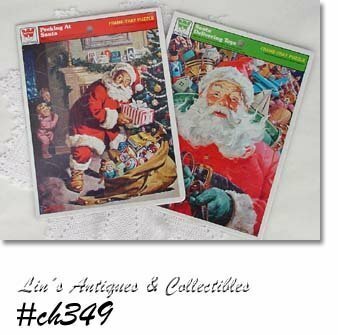 This listing has two Whitman Santa puzzles that are dated 1979 and both are still in their original packaging! One is titled "Peeking at Santa", the other is "Santa Delivering Toys". Neat Collectibles!